Thomas was a missionary that helped bring literacy education to the Wampanoags at Martha's Vineyard. He was bi-lingual in English and the Wampanoag dialect. He authored Indian Converts and wrote about his experiences with the Indians which often focused on writing about death. John Cotton was the next Missionary to teach the Wampanoags several years after Thomas Mayhew Jr.'s death. Eliot was a missionary to the Massachusetts Indians and forced the Indians to become English/Congregationalist. He worked to translate literature in Massachusetts's Native Language. He published the Indian Primer in 1669 with the help of native translators. He is also responsible for the creation of the "Indian Library". Mayhew was a missionary to the Wampanoags at Martha's Vineyard and the Father of Thomas Mayhew Jr.
One of Thomas Mayhew Jr.'s first and most influential converts to Christianity. He taught church doctrine weekly and became an ordained minister. After Mayhew's death, he helped continue the Christian mission in his absence until John Cotton came around several years later. He was a quick learner and had clear pronunciation which made him very good at translations. He helped John Eliot translate his book,Indian Primer, into the Indian's native language. He served as an interpreter for other missionaries as well. He was the only Indian to graduate from Harvard during the Colonial time. He died of tuberculosis shortly after his matriculation. Nesutan was a native who was able to read, write, and taught other Massachusetts Indians to do the same. He ended up being a personal interpreter and translator for John Eliot. Winthrop was a Governor of the Massachusetts Bay Colony who believed that women who used writing in the same way that men did would become physically and mentally ill.
John Locke labeled the instructional sequence of Colonial America now known as the "Ordinary Road" (Horn book, primer, psalter, testament, Bible). He believed that education should be playful and pleasurable. He was an associationist and is known for his theory Tabula Rasa (blank slate) that directly challenged the Mental Discipline Theory. Newman kept the books for the town of New Haven. He became the Governor in 1658 and laid the groundwork for two types of schools; Elementary (English) and Latin, Greek, and Hebrew. Published John Eliot's church catechism in the Massachusetts's language. Davenport was the New Haven minister in charge of the committee for finding and paying the town's schoolmaster in accordance with the town's first education law which required boys to attend school to at least learn to write. Fox wrote a Speller originally published in London in 1670 and later reprinted in America in 1702 titled Instructions for Right-Spelling, and Plain Directions for Reading and Writing True English With several delightful Things, very Useful and Necessary, both for Young and Old to Read and Learn. Franz was a German immigrant who wrote the earliest American written and printed speller titled New Primmer or Methodical Directions to Attain True Spelling, Reading and Writing of English (1698). In 1690, Harris compiled and printed the famous New England Primer that was used widely to teach students during the Colonial Period. This primer was very popular because of its picture alphabet. In 1658, Comenius published a book titled The Orbis Sesnusalium Pictus: A World of Things Obvious to the Senses Drawn in Pictures. This book is the first fully illustrated reading book that associated letters with pictures. It was the beginning of the word method and it was the first of its time to place as much emphasis on comprehension as decoding. Strong printed a spelling book titled England's Perfect School-Master: or, most Plain and Easie Rules for Writing and Spelling true English that was first printed in Boston in 1710. This speller was predominately secular and offered explanations for why certain letters can have various pronunciations in different situations. His speller also placed a large emphasis on syllables. Lewis printed a text for children to help them understand the church catechism called The Church Catechism Explained in 1702. This was one of the first books aimed at comprehension and the first from an Anglican. In 1728, Dixon's book The English Instructor was published. This was one of the first spelling books designed specifically with the idea of teaching children. This book was much more popular in England than it was in America. Dilworth created a spelling book that included illustrated fables. These fables were scriptural in nature. Watts wrote books, poetry, and songs that were easily understandable for children and adults. He warned of possible early death but coupled it with the redemptive love of Christ. His works were extremely popular in the colonies. Watts believed the the sooner a child could read, the sooner they could receive the word of God. Webster published the American Spelling Book in 1783. It became the most widely used textbook and it introduced spelling, reading, grammar, and advanced reading and elocution. Dock was a devout Mennonite who emigrated to Pennsylvania from Germany sometime in the early 1700's. He taught in a rural village outside of Philadelphia that was aimed at the instruction of the three R's. He is known for being a gentle teacher and showed affection to the young. He authored the book School-Management and was an advocate of tangible rewards in the classroom. Benezet was a Quaker Humanitarian that opened his own schools. During the American revolution, he authored a book titled A First Book for Children. This book used the alphabet method but provided words that had syllables easy for children to understand. This book was religious based and offered stories from Jesus' life. Wheatley was originally a slave and gained literacy without any schooling but was taught by a member of her owner's family. 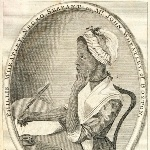 She began writing and reading through her own curiosity and became a published author and poet. She was eventually emancipated. Auchmuty was a S.P.G. catechist for enslaved Africans in New York. He opened a school in New York City for enslaved Africans as well as the Mohawks. Many adults attended his school to learn how to read. Whitefield was a minister that published a journal about his travels between England and America. His publications became known as part of the "Great Awakening". This encouraged an increase in books and pamphlets being sold in the provinces as tales of his journeys became somewhat of a "best-seller". He later opened a school for orphans in Georgia. He is responsible for the Unfoldment Theory which says that children's natural interest should guide their learning. Their curiosity and ability to discover things of interest will naturally unfold their learning abilities. Rousseau's work is said to be the "cornerstone" of John Dewey's works. Garden was the leading Anglican minister of the Southern colonies. He proposed and began a school sponsored by the S.P.G. that would buy and employ young home-born slaves to teach other "Negroes". In 1843, Mann visited European schools and came back to America declaring that American school methods were very inferior. He believed that using the alphabet method and spelling books were very harmful to children and because of his debates with critics, the word and phonic methods began to grow in popularity. His attack on the alphabet method set off a movement of change in how students learned to read. McGuffey was a professor from the midwest that authored readers for each elementary grade level. These readers, known as McGuffey Readers, appeared in 1836 and were utilized by 80% of the population at the time. These books gave teachers a systematic approach for teaching using the phonics and/or word methods. Some of the alphabet method remained in these leveled readers. The creation of these texts revolutionized reading in the 19th century. In 1881, Farnham published a pamphlet titled The Sentence Method which became widely used in training new teachers. His method proposed that sentences were the base unit and they were taught as wholes and later broken down into words and letters. His approach can be characterized as top-down and emphasized comprehension. Pollard developed the synthetic method in 1889. This stressed that the sounds of letter be taught first. She also believed that the word and sentence methods were incompatible. The synthetic method focused on associating letter sounds with pictures and objects that were familiar to children. Parker developed a method supported by Huey that is known as the activity approach. This approach was the precursor to the language experience approach and it taught children to read as they learned how to talk. Children would read and write for interest and learn things that are most important to them first. His schools had many critics and were noted being called "fad factories". Eliot was the president of Harvard University in 1890 and attacked literacy practices of the time. He called for the use of true literature for teaching children literacy. Using literature is a popular method of instruction in modern education. Edmund Huey Huey disliked the alphabet and phonics methods and was strongly against Pollard's synthetic method. He was instead a proponent of the sentence method. Despite this, he realized that in practice, the sentence method's effectiveness broke down when readers were introduced to text with unknown subject matters. He later praised the Activity Approach which was taught by Francis Parker. This approach taught children to read in the same way that they learned to talk, throughout interest and self-investigation. Dewey was one of America's first constructivists and he had a large influence on American education especially from the 1920's-1950's. His philosophy of education became known as Inquiry Learning. He wanted the goal of learning to encourage students to become successful and informed members of society. This learning theory therefore emphasizes a problem-based learning approach that encourage students to construct their own knowledge and solve problems through experimental discovery. Chall challenged the "conventional" wisdom of basal readers and supported other alternatives such as language experience and linguistic approaches. Chall coined the "great debate" during the 1960's over the two opposing approaches of reading instruction which were code emphasis (phonics first) and meaning emphasis (sight words first). Goodman and Smith are known for bringing about a change in the 1970's that would become known at the whole language approach. This approach was a holistic, top-down approach that followed a model of reading connected to words and letters. They opposed the idea of phonics and skills-based basal approaches. Flesch was not known as a reading scholar but published the book Why Johnny Can't Read and What You Can Do about It which caused a swing in the reading pendulum in the U.S. This book was a best-seller and advocated Rebecca Pollard's phonics first beliefs. Flesch believed that the look-say approach promoted "guesswork" and that phonics was the best way to promote the identification of letters, sounds, and words. In 1973, Downing published a study of reading that compared 13 countries. He determined that no one method or synthesis of methods was widely used throughout the world. This shows that the debate about the "best" way to teach reading is still debated throughout the whole world. His conclusion was supported by Corder's later research. Bloom created an enduring taxonomy that is very well known among educators known as Bloom's Taxonomy. This taxonomy states that if learning is occurring, it is happening within at least one of three domains (psychomotor, cognitive or affective). Gray's effort to classify and sequence reading skills is known as one of the most influential on the field of literacy. His skills model of reading was characterized by four levels: word perception, comprehension, reaction, and assimilation/knowledge fusion. His skills-based approach helped to formulate the approaches seen in modern basal readers. Walberg researched the outcomes of different teaching approaches. He found that instructional approaches are somewhat better with cognitive outcomes and educational approaches are somewhat better with affective goals. This research suggests to teachers that a combination of these approaches will best achieve reaching all goals of reading. Holdaway developed a 3 prong approach to teaching reading that includes using a basal (skills approach), the language experience approach and repeated shared readings of predictable books. This approach has a very broad appeal and has been used successfully in places such as New Zealand and Canada. This combination can be difficult to implement but teachers combat the difficulties by emphasizing some portions of the prongs more than others. Corder was sponsored by the United States Office of Education to provide a comprehensive review of literature. He expanded on Chall's categories and identified five psychological concepts that are unique to the field of education. He looked at many methods of teaching literacy and determined that almost all fall into "eclectic or author's own". He concluded that no one way of teaching reading is significantly better than another. In 1990, Adams published the book, Beginning to Read. This emphasized a balance between whole language and phonics and stressed phonemic awareness. This helped to start the current trend of a balanced approach to teaching literacy. Rumelhart developed the interactive reading model. This model was the first non-linear model of the reading process. The model allowed for syntactical, semantic, orthographic, and lexical knowledge to all converge simultaneously on the visual input. Stanovich expounded on Rumelhart's interactive reading model by adding that text processors are compensatory as well as interactive and nonlinear. He also created the Phonological-Core Variable Difference Model which argued that the primary difference between people with and without dyslexia was determined by deficits in the phonological realm of cognitive functioning. His research is especially helpful when determining the deficiencies of at-risk readers. Proposed the early version of the Parallel Distributed Processing Model that says all cognitive information is stored as connections between units and these connections become stronger and faster with repeated pairings. This theory is labeled as connectionist alluding to the connections being made while reading. Maslow's Hierarchy of Needs Theory proposed that humans have five levels of needs arranged in a hierarchy; physiological needs, safety needs, love and belonging needs, self-esteem needs, and self-actualization. The lower levels of physiological, safety, love and belonging are considered deficiency needs and the higher-level needs of self-esteem and self-actualization are growth needs. School achievement is considered an esteem need which puts it in the growth needs category. This theory is important for educators because teachers need to be aware of students' deficiency needs prior to attending to growth needs. Gough’s reading model is based on a “bottom-up” approach to reading. Early cognitive theorizing tended to show information processing as a series of stages moving from lower-order to higher-order stages and Gough’s model is an exemplar of this way of thinking. Marzano is an author and speaker known for his research that has helped shape current K-12 schools today. He focuses on areas of school improvement and translating theories into educational strategies. Sadoski is a Professor and Distinguished Research Fellow in the College of Education and Human Development at Texas A&M University. He was previously a classroom teacher and reading specialist and has been published in literacy journals for more than 20 years. He authored the book Conceptual Foundations of Teaching Reading in 2004. Known for creating the Fountas and Pinnell reading leveling system widely used among educators. Fountas & Pinnell have been noted saying that many educators use the system in a way they had not intended. Students should not be confined to levels and that information should not be shared with students or parents. Levels are a tool that should only be for teacher use. Calkins is one of the originators of the Reading and Writing Workshop models. She is an accomplished author and co-directs a Literacy Specialist Program. Gunning is an author and former teacher/reading specialist that currently is working on a program to help teachers implement RTI and the Common Core Standards. He has created many different informal assessment programs and an intervention program titled Word Building: A Response to Intervention Program. Morrow is a distinguished professor and director of the Center for Literacy Development at the Graduate School of Education at Rutgers. She is a former classroom teacher and reading specialist that has more than 300 publications, including the book she co-authored with Diane H. Tracey in 2006 titled Lenses on Reading: An Introduction to Theories and Models. The alphabet method (sometimes known as the spelling method) can be traced back to the Middle East more than 5,000 years ago. The current alphabet is derived from the Roman alphabet with very few changes. Teaching the alphabet method dates back to ancient Greece and Rome when the teachers would drill their students in recital of the alphabet. The students sang songs and used letter tiles and blocks to build the alphabet, which is still seen in modern day classrooms. This method of teaching emphasized the idea of letters to words and words to reading. This method was exclusively THE method until the late 1800's when new schools of thought emerged. This was the first major theory to provide a foundation for educational theories. The very beginnings of this theory can be traced back to Plato and Aristotle ranging from 428 B.C.E. to 384 B.C.E. It stated that the brain is like a muscle that needs to be exercised regularly to gain and keep strength. This theory translated into education in the form of rote memorization activities such as flash cards and time drills. Evidence of this theory is still seen in modern education. In 1570, Hart published A Methode or Comfortable Beginning for All Unlearned, Whereby They May Bee Taught to Reading English, in a Very Short Time, with Pleasure. In his writings, he attacked the alphabet method and called for the use of phonics. He has special marks for letters so that each letter would represent only one sound. His approach was not widely accepted during this time period. Ickelsamer was a German teacher that published the book The Shorted Way to Reading. In this book he proposed what may be the very basic roots of the synthetic phonics method. He proposed that students should learn to isolate sounds first and then the corresponding letter. After that, students can move on to reading words by pronouncing the letter sounds quickly together.